If beauty trends had its own geographical coordinate system you could quite confidently place South Korea at prime meridian - 0°. 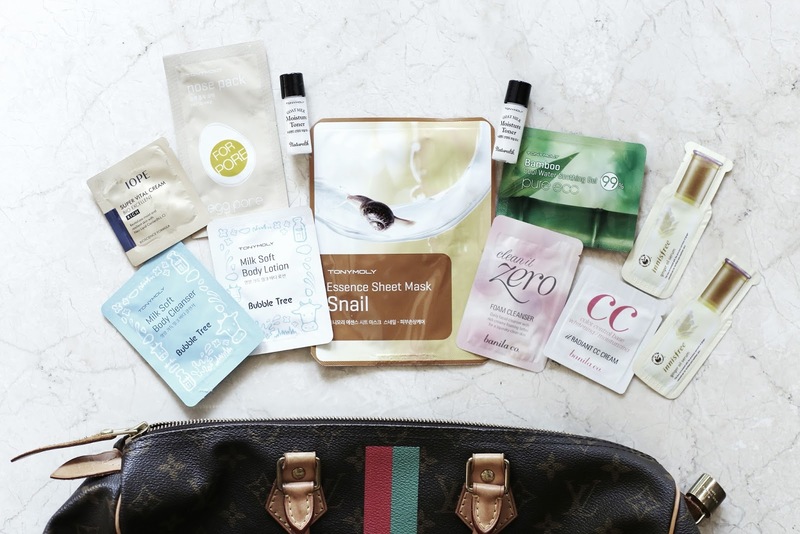 Snail face masks, BB cream, collagen eye-cream, green tea facial toners...pretty much every borderline mad-yet groundbreaking beauty bandwagon the West hops on departed from South Korea some years ago. You will hear it in the street or you will hear it in the press: beauty editors, bloggers, and enthusiasts have all marked their maps with a lipstick-red 'X' on the ultimate skincare and beauty destination: South Korea. I couldn't leave Myeong-Dong - Seoul's shopping street for all things beauty - empty-handed with nothing to show you. Naturally, I went on a hunt for Korean makeup, beauty, and skincare products I already use and love (much cheaper at the source! ), or have heard rave reviews about, and also fun new additions for my beauty cabinet. Behold, fresh off the streets of Seoul, the spoils of my Korean beauty and skincare haul. Innisfree ('free island') is a eco-friendly, ethical, green beauty brand that reaps the benefits of nature with ingredients like volcanic clay. 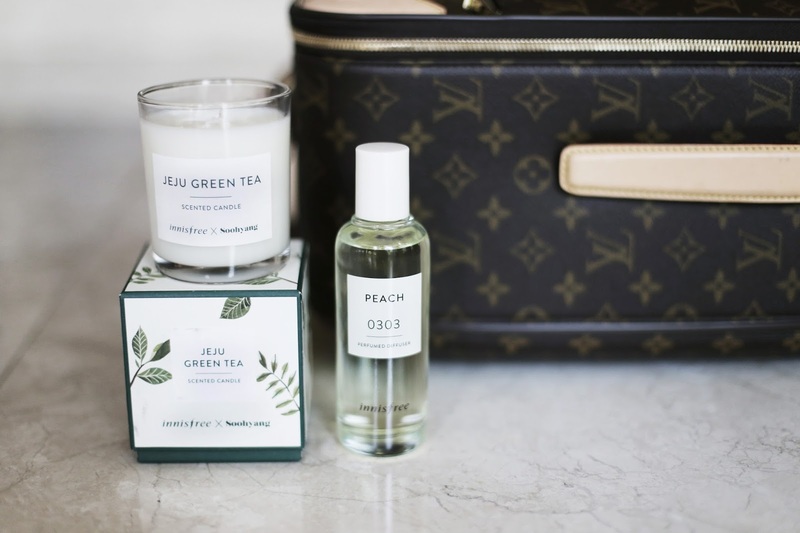 I love their ethos and gorgeous scents but sadly my skin doesn't take too well to their products, so I brought home the essence of Innisfree in the form of fragrance: a Jeju Green Tea scented candle and peach scented oil diffuser. Aritaum Baby Face Collagen Mist adds a beauty boost to a refreshing face spray with a youth-regenerating ingredient: collagen. I've been curious about Banila Co. ever since one of my favourite beauty blogs raved about their Clean It Zero Radiance cleansing cream so into my basket it went along with Banila Co. Clean It ‘Purity’ cleansing water. I just couldn't resist the glossy, minimal packaging of Tony Moly Goat Milk premium moisture cream, plus I've always loved goat milk - especially as cheese and in chewable tablets. Laneige BB cushion has long been a staple in my makeup bag as an two-in-one product: SPF 50 and tinted moisturiser with a light coverage. I don't know if Tony Moly Panda’s Dream - a soothing menthol stick - will live up to its promise to reduce my dark eye circles, but my mum has been urging me to use eye-cream, so this will do. 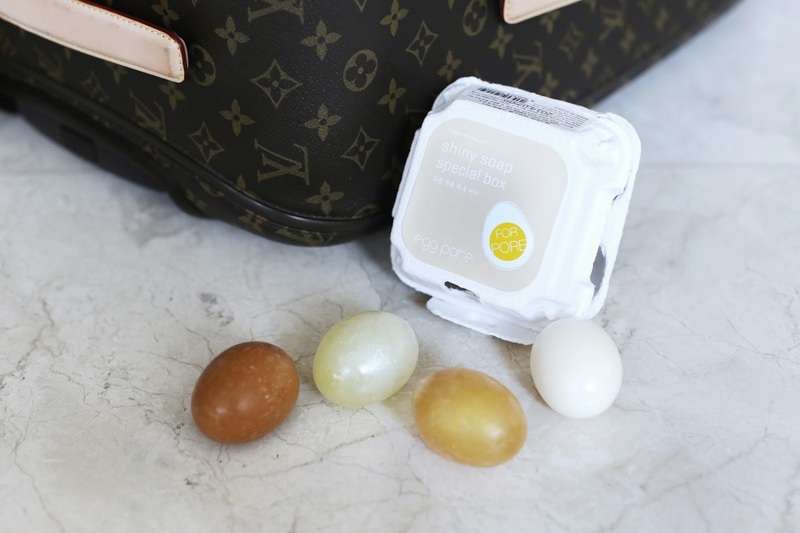 I only bought a carton of Tony Moly Egg Pore shiny skin soap because I was so tickled by the egg shapes. Upon closer inspection it seems that these eggs are good for minimising pores - of which I appear to have none - so they're more of a novelty buy. I'm a sucker for packaging and every advertiser's dream. Finally, a beauty bonus. Freebie lovers will be delighted to know that every beauty and skincare shop in Seoul gifts you samples with each purchase. These are the little sachets that were slipped into my shopping bag, many of which complement the products I bought. I always use skincare samples for travelling, they're so compact and convenient! Need a Korean beauty fix but can't make it to Myeong-Dong?